We know you -like us- have strong feelings on M&S, so just while the weather is a bit wintery (I was going to do a post on summer dresses but I’ll save that until I’m not sat here wrapped in blankets) we thought you’d like to know what AW14 is going to look like. We like to keep you informed here at TWR, oh yes. 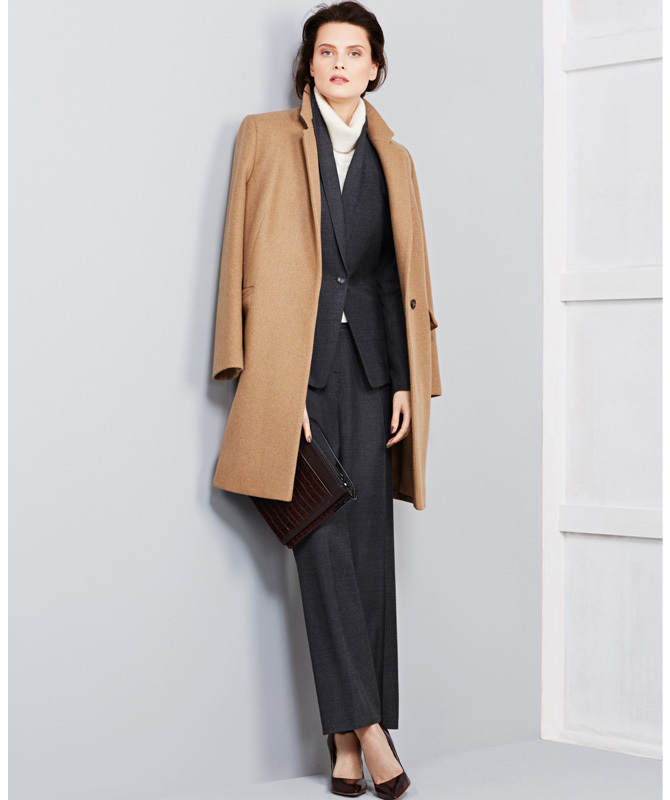 You’ll have read about the dismal M&S clothes sales figures issued last week, but things are looking up for autumn. Progress is painfully slow, but there are signs that winter will be better. Yes I KNOW we’ve been saying that for a while, but take a look at the photos here from the recent press day and see what you think. What has helped is a shift towards clothes that are modern classics, in neutrals and calmer colours, cut with style and without any weird trims or prints. There’s a contemporary outlook to the range, without a mad focus on trend and pleasingly, we’re not sinking into frumpsville either. I found a couple of pieces that I really liked the look of and that hasn’t happened for a while. My feeling is the Best Of British range is still your best bet for clothes we might like to wear in good fabrics, but fingers crossed we might nearly back to wearable clothes from the main ranges too. I really liked the Autograph floral bomber jacket in black satin and the gold mesh skirt above, and the in-your-face-scarlet silk satin Autograph dress, below was a fabulous shape and an easy wear (primary colours are big so start practising) although I’d skip those shoes for a more flattering shoe boot or brogue. And the matching faux fur might be a tad too much for the bus, but hey! At least it’s a good red. 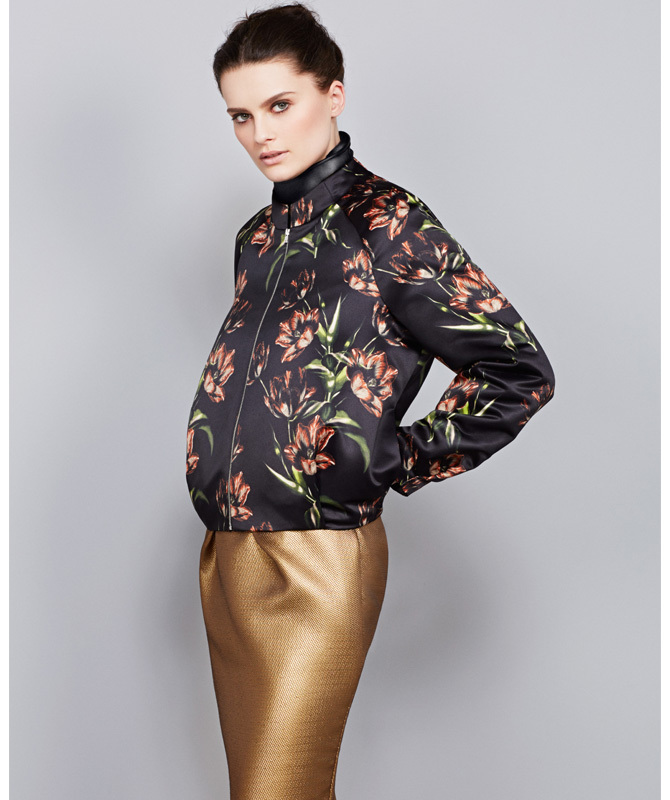 The gold leather wrap front Autograph skirt below, comes in at £199 and looks like a potential Christmas winner, and although the grey biker-jacket-hybrid is not really my thing, I think the colour pairing is a real step forward for M&S. 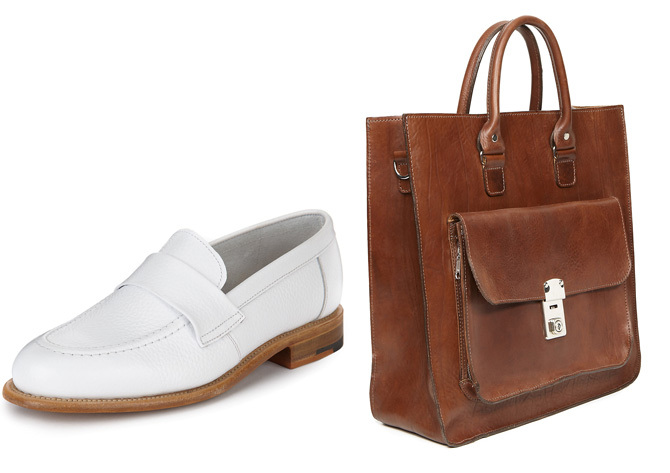 Then there’s a few classic styles cut with more of a contemporary feel, although again I’d ditch the courts for flats. The coat is £99, the jacket £110 and the trousers £59. So what do you think? It looks a bit more wearable don’t you think? But if you can’t wait until next autumn, can i direct you towards a few things that I’ve been pondering purchasing from the current range. 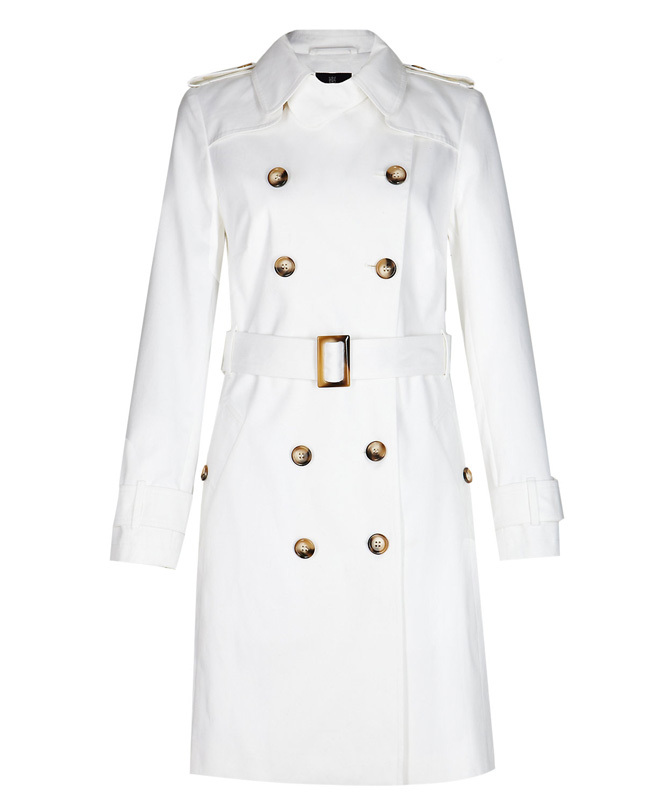 Firstly this white- yes really -trench coat from the Best of British range at £249. I’ve seen it on a number of people now and every time it looks ridiculously glamourous. 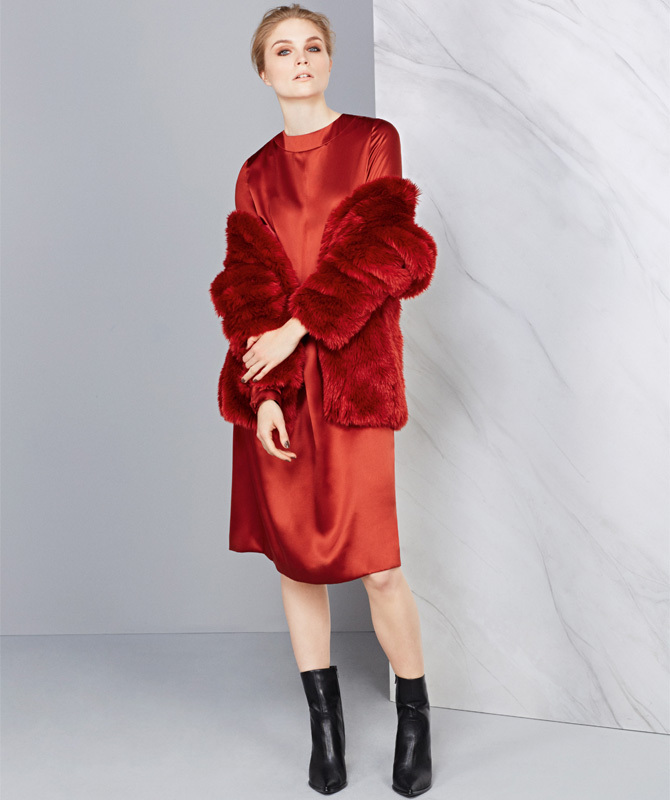 It injects a level of fabulously impractical chic-ness into an everyday wardrobe and although it’ll need dry cleaning a lot (it’s the sort of thing your mother would shout ‘a white coat, are you mad?’ at you….) it’ll make you feel rebelliously special. And didn’t Debbie Harry wear one? And then there’s these neat flat leather loafers, also from the BOB range at £165, with special comfort engineering to help you through your day. They’d be a brilliant summer shoe investment. I’m very tempted. And I was taken with the old-school leather tote shopper ay £299, with sturdy handles and useful pockets. The leather looks indesctructable and the whole thing looks tough enough to survive the work-life commute and keep you going until autumn. Previous articleAre you Kaftan ready? Ahh, M&S; as a girl who grew up in LEEDS, birthplace of said establishment and knew it as the place for Quality clothing, my main gripe – apart from the odd colours and the. Weird prints, is the lack of fabric quality. I know Yorkshire USED TO BE THE HEART OF THE WOOLLEN INDUSTRY and all that , like so much else that was good, has been allowed to diminish, but seriously… What’s with all the nasty synthetic fibres? 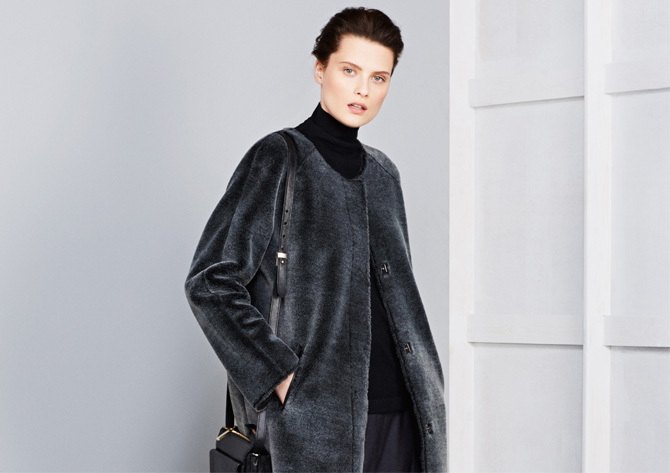 A “wool” coat these days seems to mean all of 15% wool! and why on earth would anyone make a linen dress, then line it with a plastic bag (polyester)? Along with the designs, M & S needs to return to quality natural fabrics; boost our wool, return it to the best in the world. Work alongside manufactures, not squeeze them dry. If COS can produce beautiful wool,silk and cotton clothing in contemporary styles at AFFORDABLE prices, surely so can M&S! I loved shopping at M&S in my 20’s and 30’s and was lucky enough to work in Central London, so the West End stores always had something to tempt me. However, I now live in Hampshire and our stores are dismal and the selection poor. The few times I’ve purchased items in the last couple of years the quality has been abysmal. I’d love to buy the coat in the top picture, but I bet in reality it is produced in such small numbers that I’d never get the chance, that’s if I could afford it! I now buy less and better and don’t mind synthetics when they work with the clothing item and not against, but M&S you have to get some basics in store we can afford and you are still not addressing this. 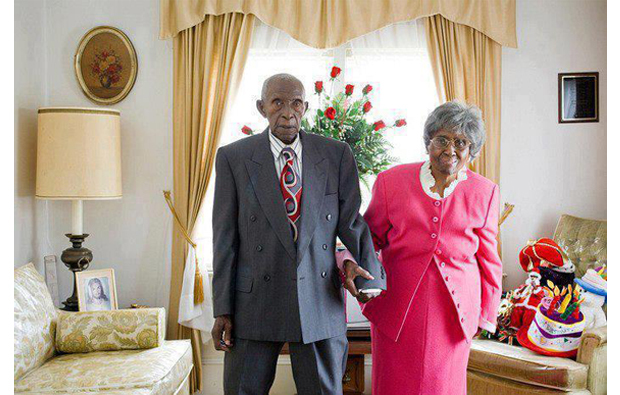 The secret of married bliss: who knows?